A thin strip of asphalt crosses through the entire Bavona Valley, a narrow valley hemmed in by steep rocky slopes. 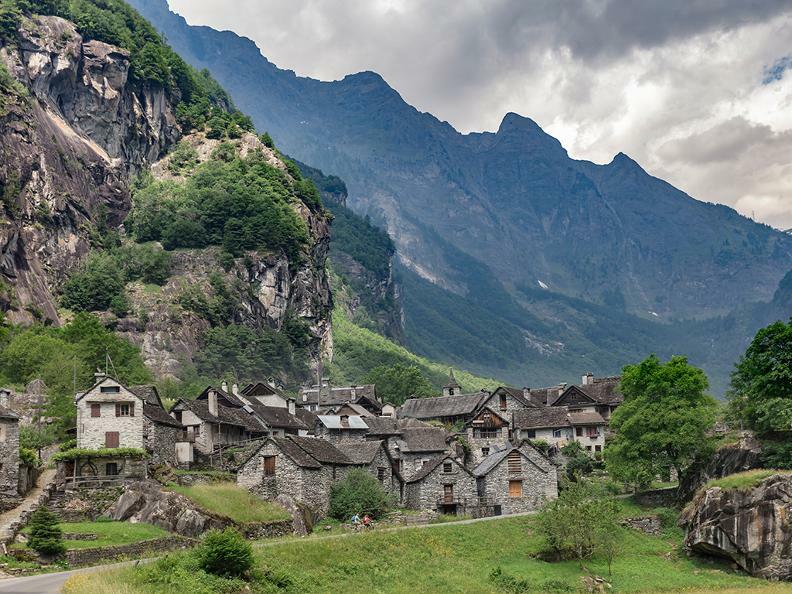 When making your way along the valley bottom you will discover twelve characteristic villages formed of compact groups of stone houses and stables, which have preserved their original rustic appearance. 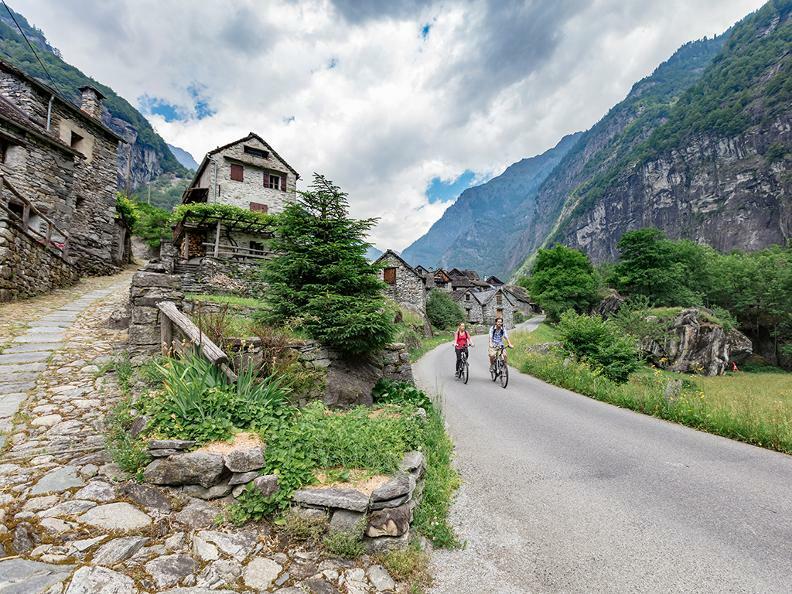 The steepest, stoniest valley in the Alps invites cycling enthusiasts to ride through it and take their time, admiring the unspoilt nature and discovering a characteristic landscape that recalls the lifestyle of a people who succeeded in taming a hostile land. Starting in Cavergno (457 m a.s.l. 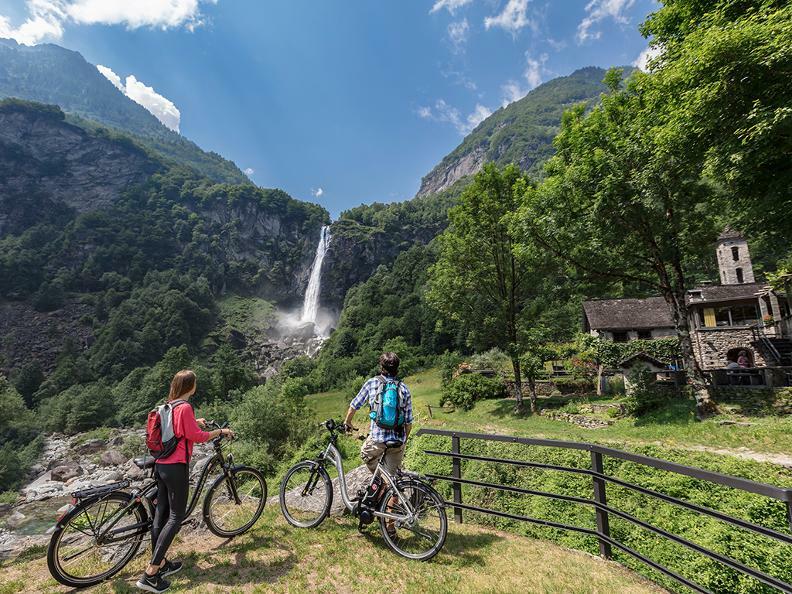 ), where the convenient cycle track linking the shores of Lake Maggiore to the heart of the Maggia Valley comes to an end, take the road that winds its way across the entire valley bottom, all the way to the town of San Carlo (938 m a.s.l.). During the ascent, made up of level stretches alternating with some very challenging climbs, you will encounter twelve villages, each situated around 1 km from the next. 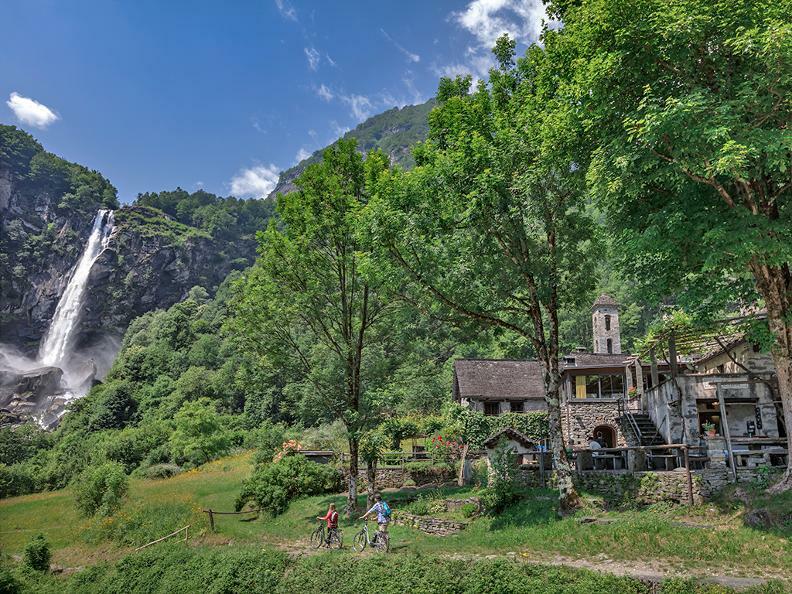 Amidst woods and cultivated fields, you will reach the following settlements in this order: Mondada, Fontana, Alnedo, Sabbione, Ritorto, Foroglio, Roseto, Fontanellata, Faedo, Bolla, Sonlerto and, lastly, San Carlo.